The T3 Matrix Performance Shim Pad has superior protection built in that is also used to protect NFL players and will surely be a game changer in your saddle pad collection. 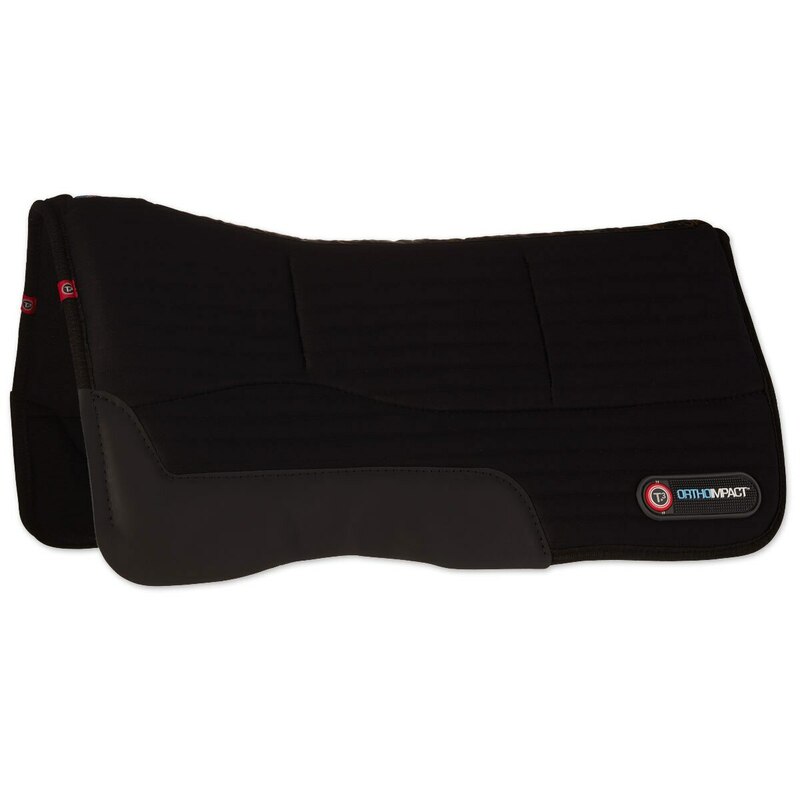 An all in one pad that is perfect for every day use, it offers full length impact protection inserts that cushion, protect and absorb up to 90% of the energy between the horse and rider ensuring a comfortable ride for both horse and rider. The shims allow the rider to adjust the saddle fit or compensate for an asymmetrical muscle development. You're able to build up the shims from the side or front and back as you need to get a perfect fit for your needs! 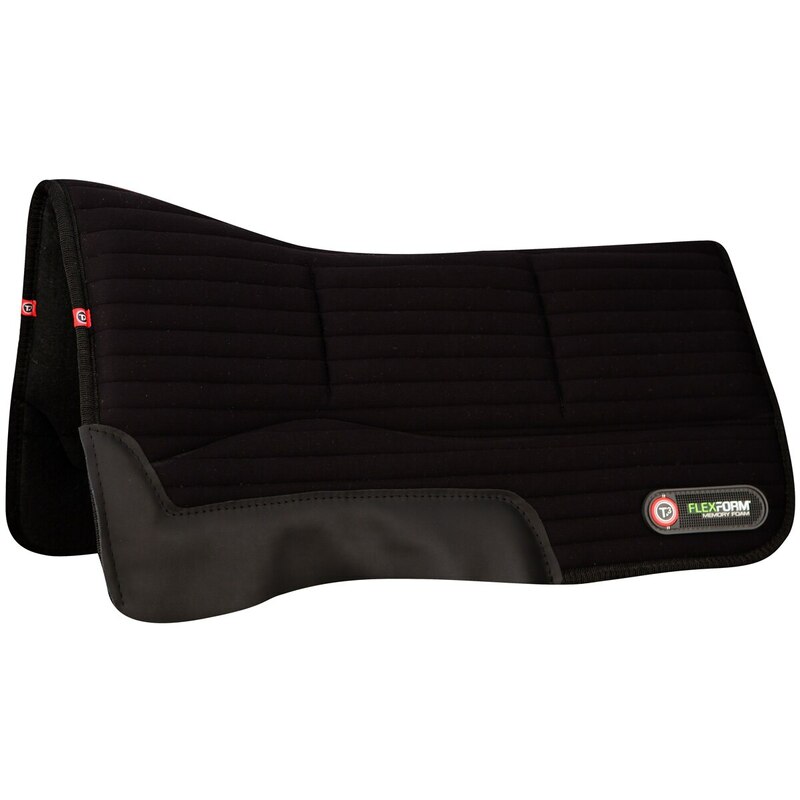 This pad is not only durable but its lightweight and breathable as well as featuring an ergonomic design to enhance your horse's freedom of movement. In addition, the high profile styling also allows for crucial wither clearance. All of these amazing features equate to a noticeably more comfortable back and rounded top line and aids in maintaining a healthy back. The benefits also assist the rider in becoming more effective as it promotes a more secure seat with less bouncing in the saddle and less stress on your joints (back, knees and ankles). This is truly a saddle pad that does it all! Pad is not intended to be used with all the shims at once. Consider using an alternative if you find yourself using all of them at once.